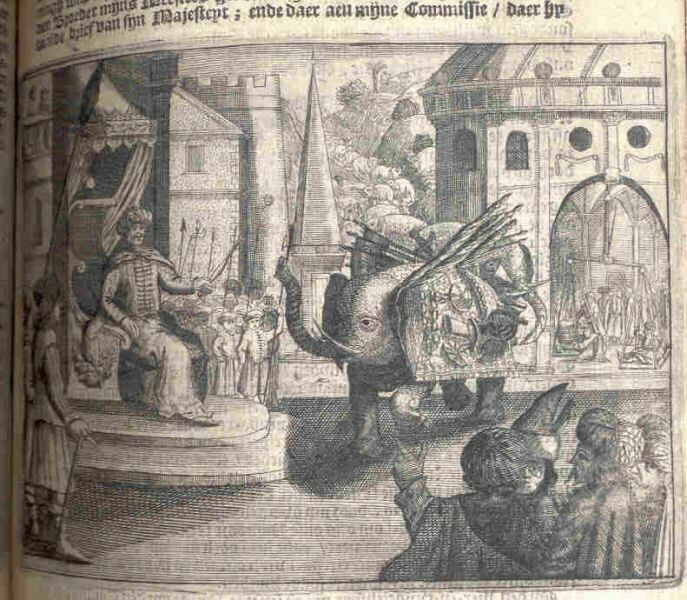 "An extremely rare work on the East Indies. Provenance belonging to a German Archive. A very handsome & unusual biding (20th century? ), new endpapers. This is the entry of the British Library. Only one copy in the UK. One in the KB in the Netherlands (See British Libray entry below). Roe, Sir Thomas. 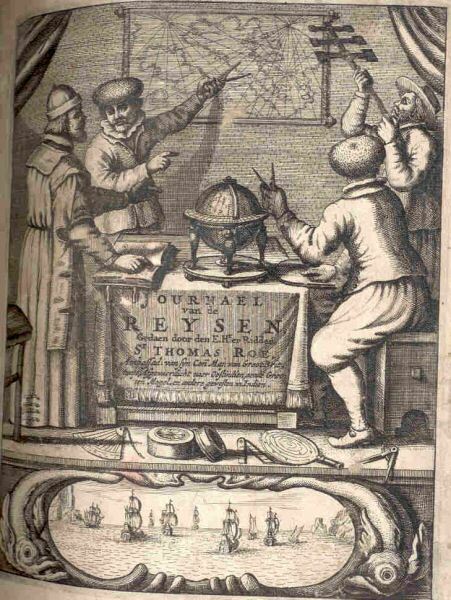 Title Details: Journael van de reysen ghedaen door ... Sr T. Roe ... afgevaerdicht naer Oostindien aen den Grooten Mogol ... Uyt het Engels vertaalt, ende met copere figuren verciert. 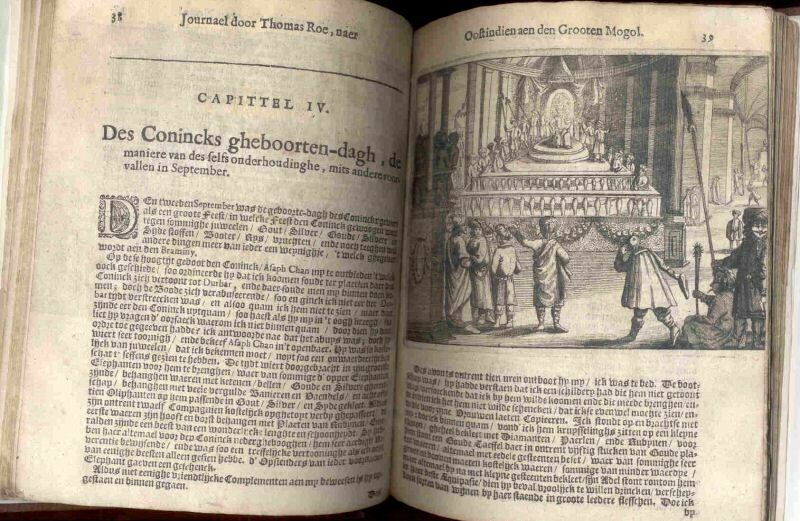 Publisher: Amsterdam : Iacob Benjamin, 1656 4o. Physical desc. : pp. 126."